The United Nations has invited Uttar Pradesh’s Noida and Greater Noida to be a part of its initiative to create 25 Smart Cities across the world. The initiative is known as Global Sustainable Cities 2025. They have been selected under the University Category and is ahead of metro cities like Mumbai and Delhi. 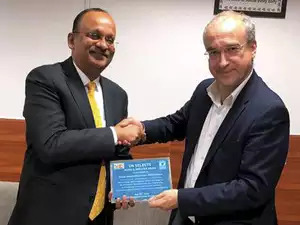 “Noida (along with Greater Noida) has been formally invited to participate in this showcase ‘Race to Sustainability’ among 25 global cities to become fully compliant with the Sustainable Development Goals by 2025 under the UN Global Sustainable Development Goals (SDG) cities initiative,” said Senior UN Advisor and CEO UN Global Sustainability Index Institute (UNGSII) Roland Schatz. The invitation has been extended to Gautam Budh Nagar District Magistrate Brajesh Narain Singh. The UN General Assembly, in 2015, had adopted the agenda for sustainable development which aims to end poverty, protect the environment. The 25 cities selected will be developed on sustainable goals identified by UN. The invitation also entitle Noida-Greater Noida for US finance which runs into a huge amount. Universities like Cambridge, Palo Alto, Trondheim, Espoo will also participate in the event.